Hey do we have any music, dance and entertainment lovers here? Hands up please, I am sure most of us love music. Well maybe different music genre; I like pop, r&b, jazz, bossa nova and sometimes I do enjoy rock too. Perhaps some of you may like techno, reggae, classical, folk, country, blues or many more. However, music is the universal language of mankind. Music can have a similar effect on people from completely different cultures. 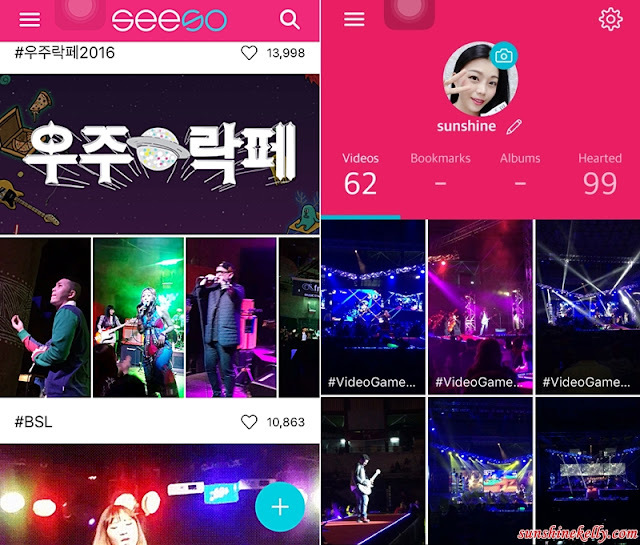 I am glad that a friend introduced me to this SeeSo App, a Fancam for music lovers To watch and share popular gigs curated by hashtag and locations. Isn’t it awesome and cool will it be if we could watch all the fan-generated videos at a glance? For example I was at the Video Games Live concert in Kuala Lumpur (#VGLKL) last weekend. I am sure you are familiar with these games such Final Fantasy, Zelda, Warcraft, Phoenix Wright, Super Mario World, Command & Conquer and etc. 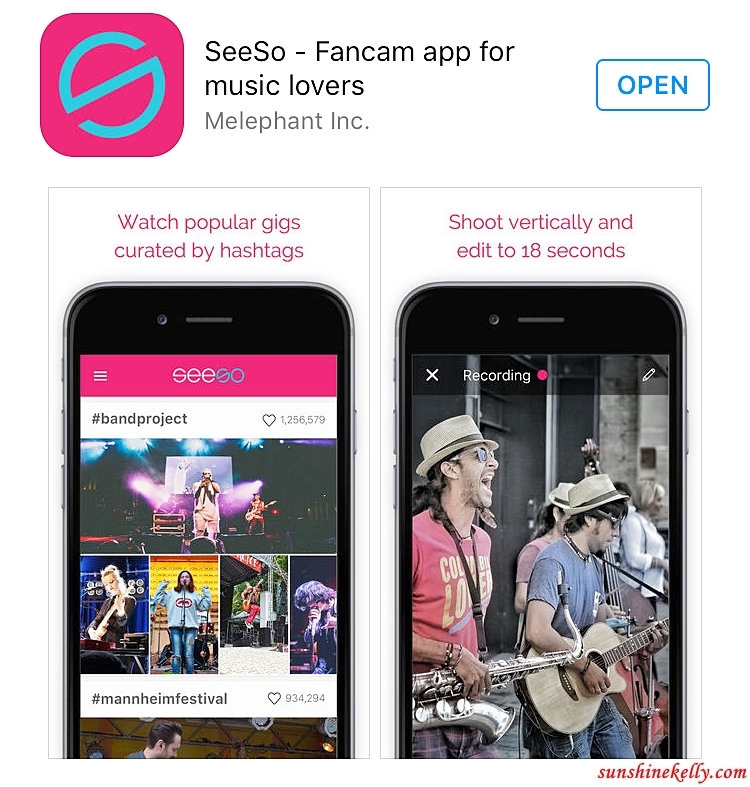 My using the SeeSo app I can take video during the live concert and shared it on the app. 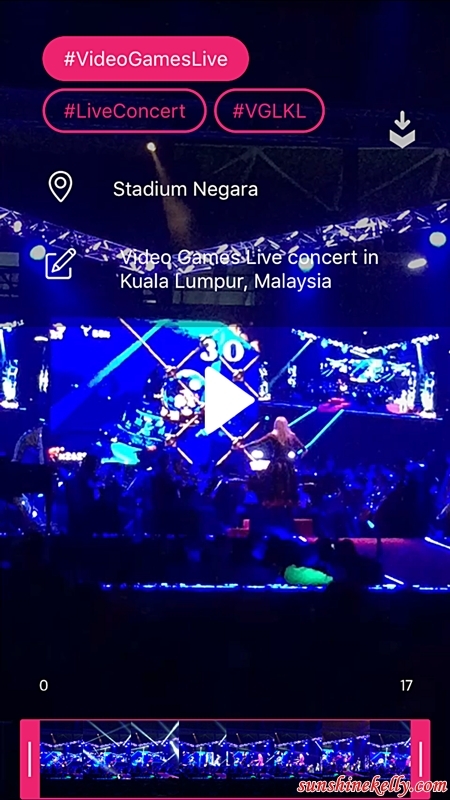 Those fans of Video Games Live music around the world will be able to check out the how was the #VGLKL concert in Kuala Lumpur. The Video Games Live is on their tour around the world at many major cities. Anyone on SeeSo App can watch the lively videos taken by music fans. Just search the hashtags and location. In the nutshell, what you can find on SeeSo, videos are grouped together by hashtag and location which lets you feel like you’re there at the gig. Well, if you like a video someone uploaded or shared you can tap anywhere on the screen to give ‘hearts’ means like. The more hearts or likes the video get it will be on the top of the home page. 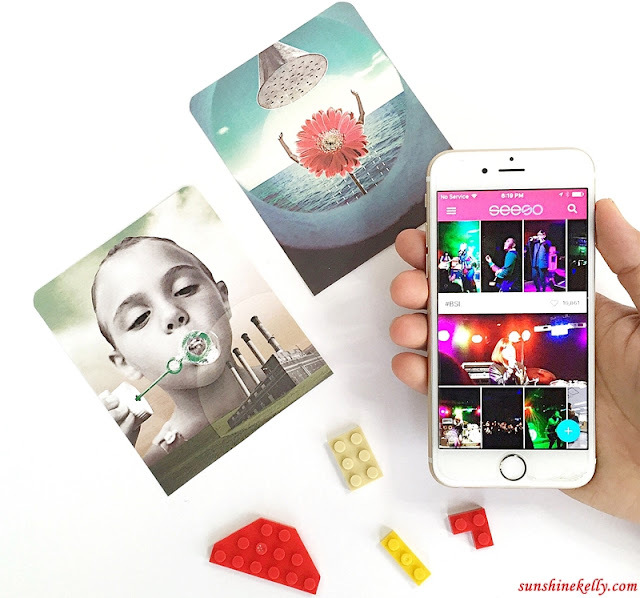 This app focus mainly on music, dance, arts and entertainment. If you are a person into these then you got to download the app. If you love Korean music, bands, entertainment and dance then you got more reasons to have this app on your mobile. Because there are many of them on the app, go check it out. Millions of events and concerts happened everyday, everywhere but we don’t have the time and money to see all of them. And even if we’re at the event, there’s a chance we can’t capture all the scenes that have occurred. 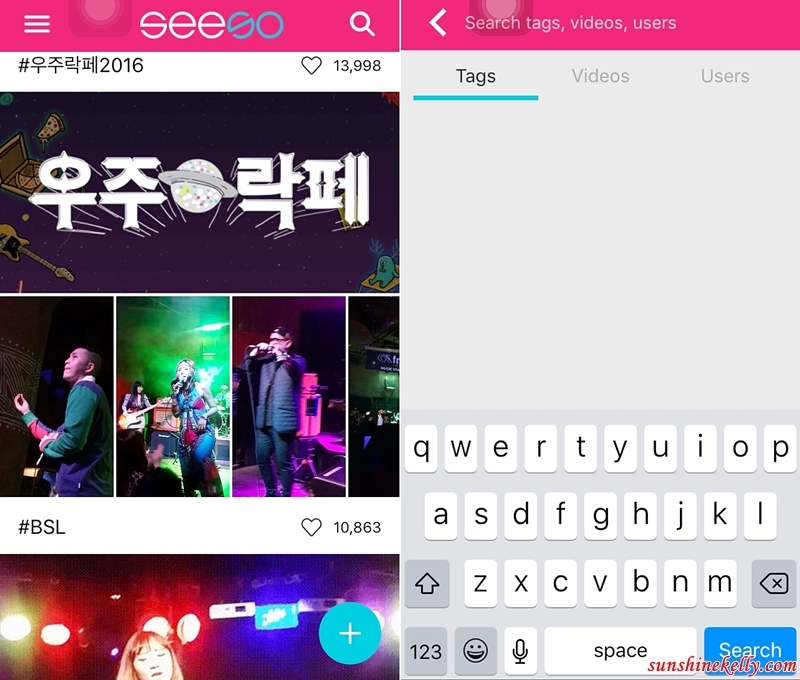 'SeeSo' is a compound of the words 'See' and ‘Saw’ is the bridge between the event-goers and event-missers by sharing videos with tags and locations. This is the true value of SeeSo. The Seeso app is now available on Android and iOS platform and it is free to download. SeeSo was offered and developed by Melephant Inc. from Korea. After you have downloaded the app, you need to register to login and create your id. Here is mine, so far I have uploaded about 62 videos mainly in live bands, dances, concerts, street music, art festival, street dance and etc. You can find them via the hashtag. When you want to shoot any video and upload on Seeso remember to hold your smartphone vertically. 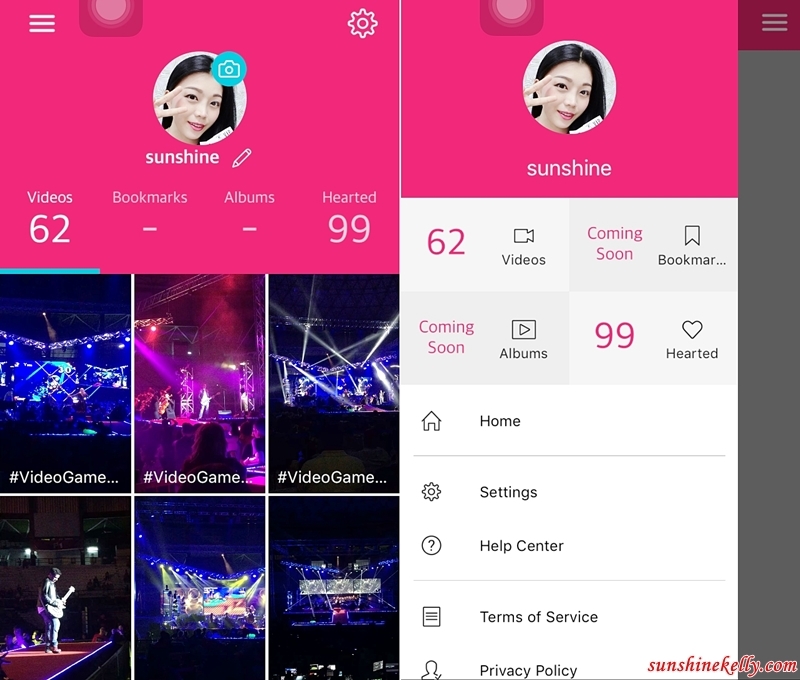 You can capture your favorite musician’s performance by using ‘Continuous Mode’ or ‘Press & Hold Mode’ or you can upload you pre-record video on the app also. If you want to add your video to a hashtag that already exist just swipe the video thumbnail list to the right and tap the “+” button. If you want to create a new hashtag then tap the “+” button on the bottom right corner to record and tag your video. 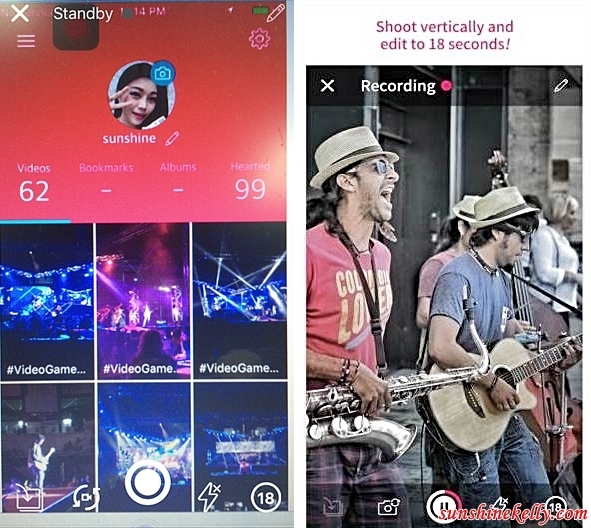 For live video upload press the center round button, you can have continuous mode or you can pause in between. For selfie video you just click the button on left and if you need flash you can click the right button. For pre-recorded video click the button on the far left on the bottom, search your video and uploaded it. Once you have got your video done, press the pencil button on the top right corner. Now you can add your hashtags, search your location and a brief description of the event. Every video on SeeSo has a ‘Primary Hashtag’ and ‘Optional Hashtags’. ‘Primary Hashtag’ is the main tag that groups videos of the same event together. ‘Optional Hashtags’ are optional tags. By using appropriate ‘Optional Hashtags’, more people can watch your video. Please take note the number of words for the description are limited so keep it short and to the point. Once you are done with all these you can click the tick button on the top right corner. Wait for your video to load, if your wifi is on high speed is will upload fast, if not it will take a while. Tadah! your video is successful uploaded and the mission is completed. Now you can upload your next video and shared it on your social media site too. Yes! If you found a video you like or is inspirational don’t forget to tap the screen. 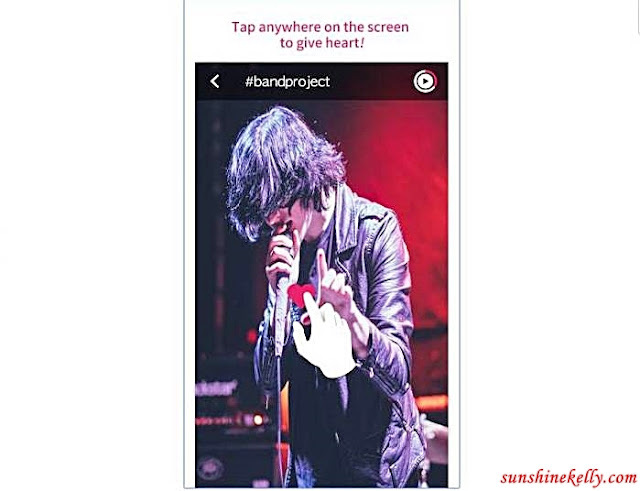 Give “hearts” this is how you can express your affection towards users or their videos. Plus this is also a way how creators and viewers can communicate with each other. Videos with the most affection are placed at the top of the popular list. So be sure to upload good videos and also support those videos you like with lots of “hearts”. 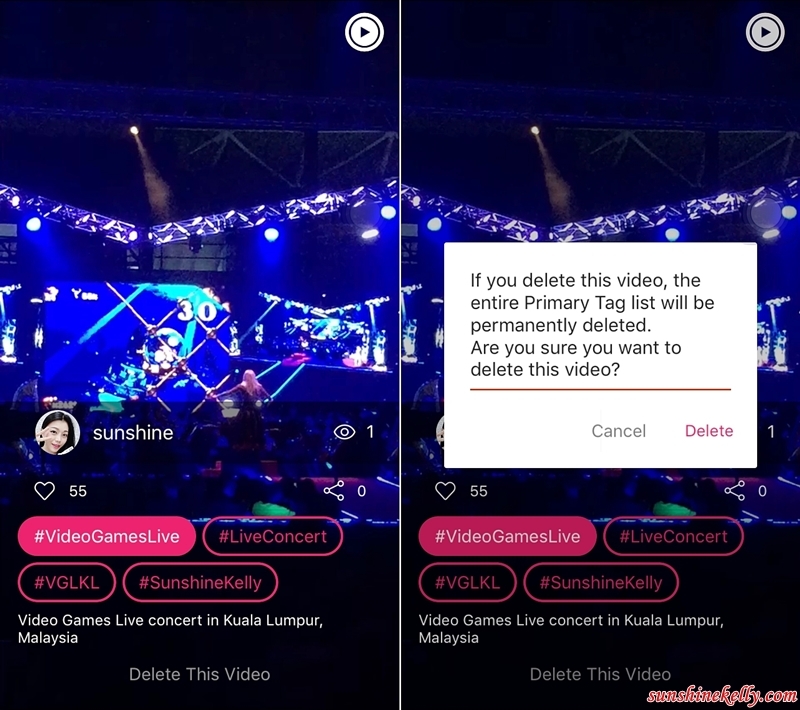 At the moment, for those video that you current or just upload you can delete it. However for those old video I am still trying to figure out, I have informed the developer about this and they will address this matter. To delete video, select the video that you want to delete. Open it and swipe up, there will be “Delete This Video” button appear on the bottom, click on that and press delete. Overall, this is a very straight forward and user friendly app. All you need is to play with it for a while and get familiarize it the app. I enjoy watching those Korean concerts, bands and performances through the app. 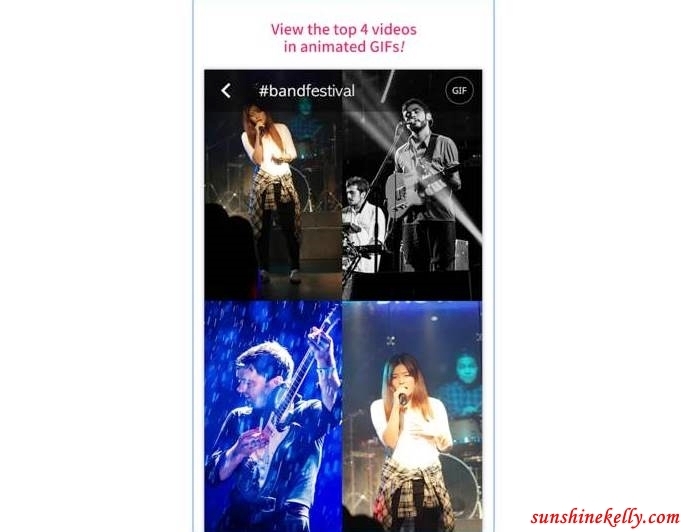 You can view the top or the best 4 videos or gig in animated at a glance with GIFs. Well, there are some set back too. You need enough mobile data or quite a high speed internet to upload and watch the videos. Plus your smartphone has to be 4.1 and above for Android platform. If not you might experience some lag. At the moment I am not able to delete my old videos. Other than that I pretty much like the niche concept of this app. Which means SeeSo App is a Fancam for Music Lovers To Watch Popular Gigs curated by hashtags and location. Alright! Do check out my videos on SeeSo and my profile page is “Sunshine”. I am going to upload more and hope you like it. Pssttt… don’t forget to “hearts” my video ok… the more the merrier. it looks like a very cool app :) gonna have lots of fun with it! 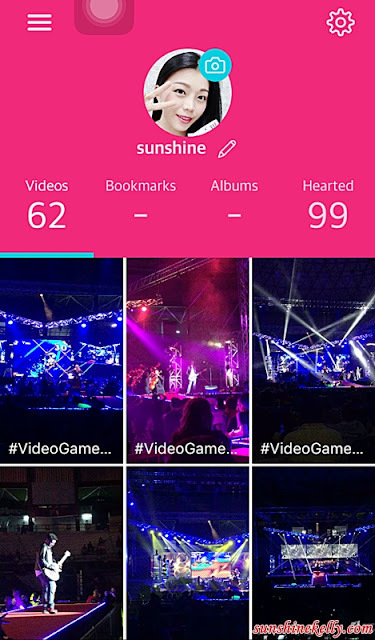 Wow, this is a great app that I'm sure many fans of concerts would love to install. I also like music but I haven't attended any big gig playing live. More music to listen for such apps.. Nice one! I am not a music lover, but I will tell my two tweens to try this app. Thanks so much. This looks cool. It's like being right there in the concert scene itself. Wow that's a cool app! 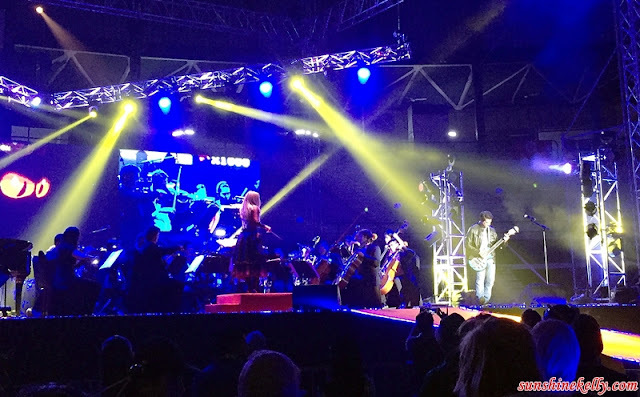 A video game concert with Final Fantasy music? Oh my! I would nerd out if they played music from FF7 and FF10. lol Thank you for sharing this app. Need to cheout this app, looks quite interesting haha another social platform to update later when we already have a handful at the moment. I'm sure every music lover rejoiced when they learned about this app. So many concerts are happening and you can't always attend them, it would be great to get a feel of what's happening in the concert. This is awesome, I'll show this to my girls! Looks fun. Gonna check it out for more entertainment options! I don't watch much concert videos, so it might not apply to me, but still, it being one of the social media platform, I will try to give it a go! I love to hear love songs. With the Apps, I can easily download it. Thanks for sharing. It's a very useful app for fangirls. Especially those who love Kpop. I'll download it so I can see the gigs of my favorite Korean idols!! This sounds like a really cool app. I'll have to check this out for sure! You know I take fancams of the concerts I watch so this is right up my interest. I will check this out. But did I understand you correctly, you can only upload 18 seconds? This is an app that can really keep you entertained. It's also nice that you can upload videos though space would always be a concern. App Development is on the boom!! So many apps to do everything. SeeSo also looks quite promising especially for music lovers. looks interesting like snapchat, i shall check it out ..
Wah! Makin senang nak tengok konsert after this. Thanks for letting me know about SeeSo. The app is so great! For me, it is really good suggestion. Thanks a lot.